A new device called the iChip, short for isolation chip, may unlock the potential to culture the majority of microbes that still remain undiscovered. So far, standard microbiology culture methods have only been able to grow about 1% of microbial species in vitro on synthetic media (1). Beginning in 2002, the iChip was designed and tested by a team of researchers from multiple universities and industry partners and eventually completed its phase I (proof of concept) design in 2010. 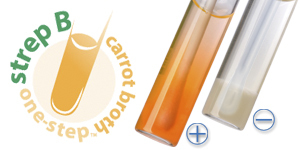 The iChip is capable of isolating and growing pure microbial cultures at a high throughput. With the ability to recover more organisms that were previously unable to be cultured by current methods, the iChip has the potential to improve the present understanding of environmental microorganisms and will allow for new discoveries that are applicable to various areas of biotechnology and medicine (2). What makes the iChip unique is that it allows for bacteria to remain in their “natural environment” by bringing the environment to the lab. The iChip is capable of culturing organisms from soil, sea water, saliva, salt marsh, and wastewater bioreactors (1,2,3). In order to accomplish this, the iChip utilizes a “chip,” which consists of a hard piece of plastic with 192 tiny wells. To use this device, the user simply dips the unit in a bacterial sample mixed with agar to trap a single cell in each well. After collection of the bacterial sample, a diffusion membrane is placed on each side of the chip in order to lock the microbes in place. 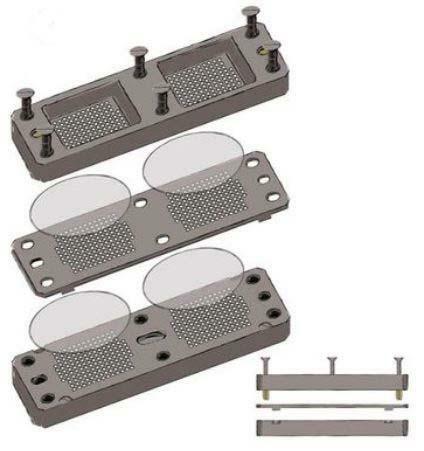 The membranes are subsequently secured with plastic plates, and the iChip is placed into a large sample of its original environment where nutrients may permeate through the membranes. This has been shown to allow for an observed 30,000% increase in bacterial growth compared to standard agar plates (1). Thanks to the iChip, the team has analyzed over 10,000 microbial species in a simple one-step process. As a result, the team discovered 25 new antibiotics in 2005. The antibiotic with the most promise was isolated from a recently discovered organism called Eleftheria terrae. The new antibacterial molecule, named teixobactin, was successful in wiping out highly drug-resistant microbes responsible for anthrax and tuberculosis (4,5). Teixobactin has been observed to protect mice from bacteria that are non-susceptible to several different drugs, including methicillin-resistant Staphylococcus aureus (MRSA) (4). This new antibiotic is already being chemically synthesized in two simplified versions using methods that may be reproduced on a commercial scale at the University of Lincoln, UK, for an economical and commercially available product for use in human clinical trials (4). Researchers believe that antimicrobial resistance is less likely to arise against these new synthetic antibiotics because the enzyme that the drug targets would require significant structure changes to become resistant (4,5). With the ability to culture microbes quickly, testing the iChip in other environments may help identify additional molecules or proteins from unidentified organisms that may have medical or industrial value. This new technology provides the possibility to recover microbes from difficult to reach and complex environments (e.g., outer space, deep ocean trenches, etc.). Advances in the iChip leave developers with high aspirations; the potential for expansion of new beneficial molecules is imminent. 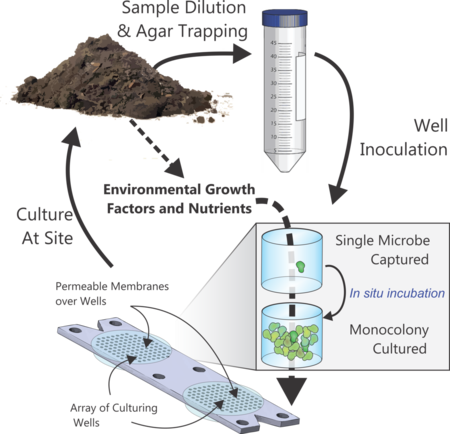 Standard culture methods that utilize agar or broth media often produces little to no growth, due to the lack of nutrients or growth promotion factors yet to be discovered. The majority of molecules discovered thus far come from the 1% of bacteria known to exist. Now, the potential to tap into the remaining 99% is exciting for all avenues of scientific research. ← The Illness in our Pockets; Cellphones and the Spread of Disease.